On August 28, 2018, we announced to the world the formation of Las Musas, the first collective of women and non binary Latinx MG and YA authors to come together to support and amplify each other’s debut or sophomore novels in US children’s literature. Our MG or YA books will be released between Fall 2018 - 2019. Our mission is to spotlight the contribution of #ownvoices Latinx stories and Latinx creators in the evolving canon of children's literature and celebrate the diversity of voice, experience, and power in our communities. ​Las Musas have come together, in an unprecedented effort, to amplify and support our work so that it is clear that there is, in fact, room for all of our stories and that they only begin to scratch the surface of what represents the Latinx community. We believe our alliance will help lift every single voice in solidarity and will provide a broader understanding of Latinx diversity to young readers thereby building a more just and empathic world. Our collective includes Hilda Burgos, Jennifer J.C. Cervantes, Tami Charles, Ann Davila Cardinal, Natasha Davis, Mia Garcia, Isabel Ibañez Davis, Tehlor Kay Mejia, Ana Meriano, Nina Moreno, Maya Motayne, Claribel Ortega, Emma Otheguy, Kristina Perez, Laura Pohl, Nonieqa Ramos, Michelle Ruiz Keil, Yamile Saied Méndez, and Aida Salazar. It is such a great time to be in community with all of these authors! 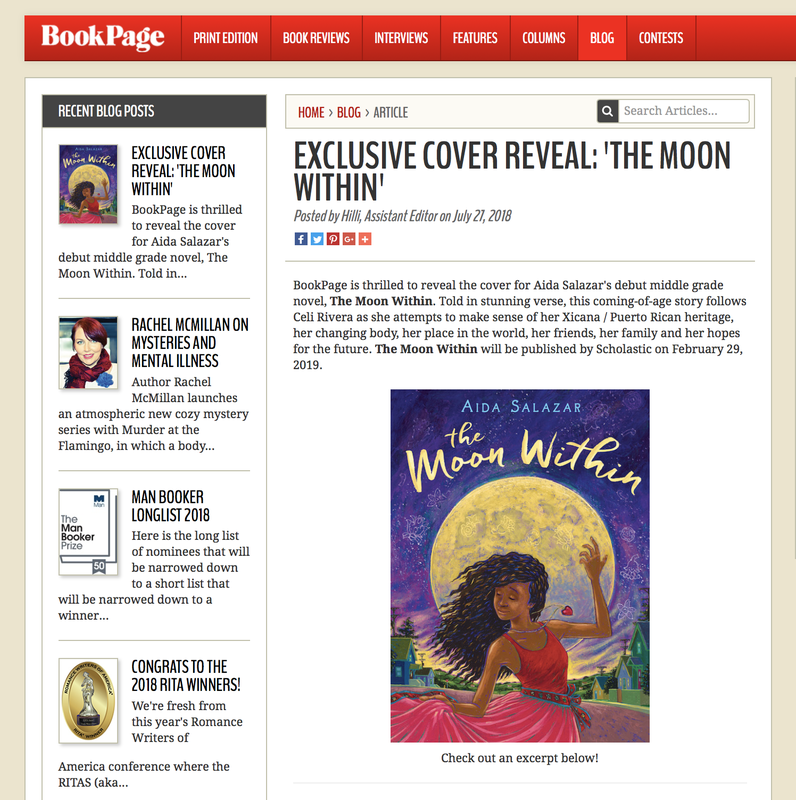 There was no better way to celebrate the total lunar eclipse on this Blood Moon than with the cover reveal of my middle grade novel, The Moon Within! The good people over at BookPage gave it an EXCLUSIVE REVEAL on their blog and I couldn't be more grateful. They also shared an excerpt from the beginning of the book! The cover was illustrated by the wildly talented Joe Cepeda (illustrator of the iconic cover of Esperanza Rising by Pam Munoz Ryan). Often times, illustrators are overlooked in reveals but their work is so important! The role of the illustrator is to read the book (with its many events and themes), and then represent the book with one image. Not easy to do by any means! Joe has done this and beyond. He has perfectly captured my main character's spirit and journey with every poetic detail of this beautiful painting. I'm so in love! The book will be released in February 2019. The ARCS (advanced reader's copies) will be out next and will go to industry professionals such as librarians, book reviewers and booksellers. Stay tuned for your chance to win an ARC once they are out. While in Cuba, this sweet little girl wanted to take home a book at a children’s bookstand but her parents couldn’t afford even one. Though she didn’t know how to read yet, she held her book tight against her chest with tears in her eyes while her parents tried to pry it away. With her parents’ permission, I bought her that book and three more. I told her it was important to me that children read because I write stories for them. She promised to treasure her new books and maybe be a writer of books like me one day too. Look out world, here comes JOVITA!! I'm beside myself over the announcement of our debut picture book about my revolutionary tia, Jovita Valdovindos! The best part is that it’s an all women of color team!! My First Book to be Published! I'm beyond blessed and excited to finally share that my debut middle grade novel in verse will be published by Arthur A. Levine Books / Scholastic! It is a great honor to share that Huizache Literary Magazine has published my essay, The Making of an Angel. I've been such a fan of writer/editor, Dagoberto Gilb, and his tremendous work and so it is a special thrill to be included with these stellar writers. Now I can finally buy one of those "Huizachera" T-shirts and wear it proudly! Ajua! 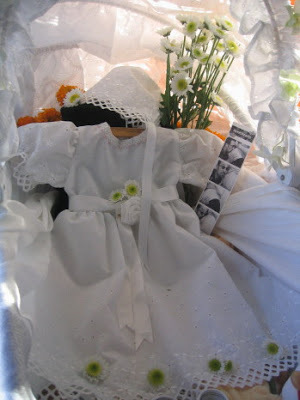 Without revealing too much, my essay is about postmortem children's photography and my family's connection to this practice. It shows a riveting picture of my Tía Consuelo when she was 14 years old and her baby as well as some historical photos by the prolific photographer, Juan de Dios Machain. This essay was so hard to write and written through many tears. It is part of my continued necessary process to use my art to heal from the loss of my sweet girl. I feel so grateful that it would find a home in Huizache #6. 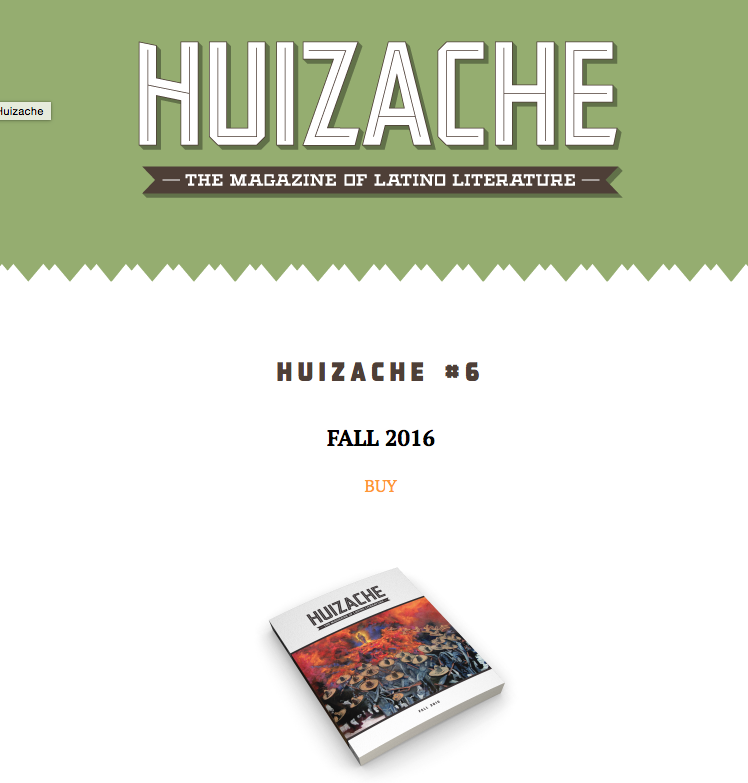 If you would like to order a copy of the magazine, please visit the Huizache website here. "Mami, I know you. I am glad you are here." This poem was written soon after I had given birth to my third child, yet the pain of having lost my first born child persisted, as it does today. I return to the sentiments here to find refuge in my longing, my ache, my inability to let her go, my insistence of holding her within for all my days. The moon's been a powerful force in my life and right now her presence, her imagery, her inspiration are more alive than ever. On May, 21, 2016, I'll be a featured reader at the Lunada Literary Lounge -- a long running open mic and feature writer reading series in the heart of San Francisco's Mission District that only happens on the full moon -- curated by poeta extraordinaire and true homegirl, Sandra Garcia Rivera. I'll be reading excerpts from my memoir In the Womb of Love about losing my first born infant daughter, my novel in verse for middle grades, The Moon Within, and also some of my story that inspired the ballet, By the Light of the Moon, of course! Full moon energy is intended for celebration. I'll be celebrating my return to writing, a return to my heart, to my commitment to storytelling as an act of resistance and positive social change. I am beyond grateful to the Lunada and Sandra especially for the invitation, for creating this space and keeping the light lit for writers to find their way home. 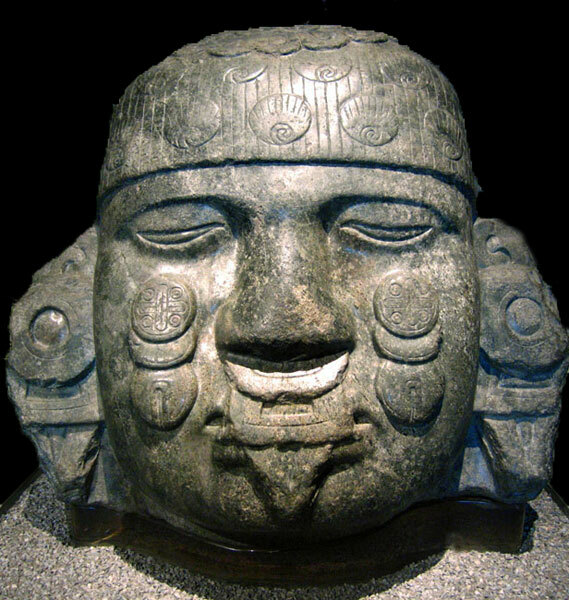 Coyolxauhqui, Aztec Goddess of the moon. I have the honor of reading at this great big writer's conference in LA thanks to my beautiful friend and colega, Vickie Vertiz. The panel that she has so generously coordinated and will be moderating will feature writers that hail from Southeast LA - Stephan D. Gutierrez, Melinda Palacio, Vickie and yours truly! From Bukowski to Viramontes, working-class writing in Los Angeles is a longstanding tradition. Latinos are the largest ethnic group in the county, bringing avant-garde aesthetics to literature. However, many of our stories have yet to be told. This reading highlights cutting edge poetry, story, and performance by working-class and queer Latinos from a little-known part of Los Angeles: the southeast. From railroad yards to factory floors, writers share their work of grit and heart.